With our hotel based right at the foot of the hills, we can head out directly on both of our included walks. 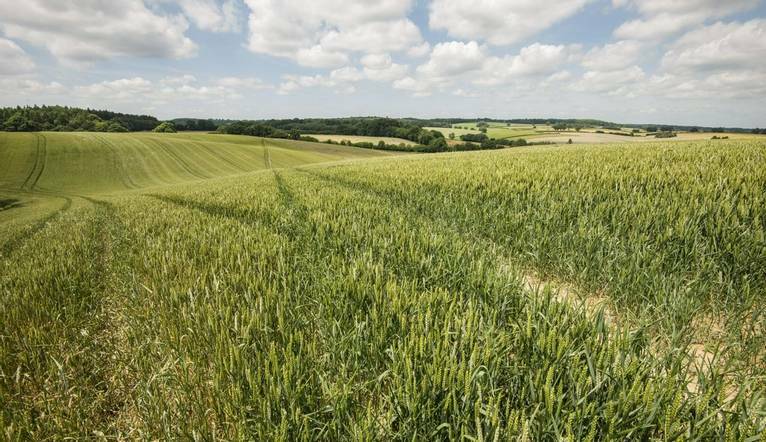 Saturdays walk after breakfast follows a collection of footpaths, bridleways and ancient rights of way passing through a nature reserve, private estate, along Chiltern ridges and using parts of the ancient Ridgeway and Swan’s Way. Renowned for their spectacular ridges and unique chalkland fauna and flora, the Chilterns are also home to beautiful red kites. We are almost guaranteed to see some soaring on the thermals with their distinctive sound. We walk through the Wormsley estate, home to the Getty family and famous for the Garsington opera. It’s privately owned cricket pitch is used by international teams for practice and matches. Heading uphill, we stop off at Christmas Common for lunch at a local pub (own cost). Taking a section of the Oxfordshire way with views across the Oxford Plain, our journey back to the hotel follows and ancient route towards Lewknor. The paths are generally free draining due to the chalk but can be steep and narrow in places so suitable footwear is essential. Sundays walk is less strenuous than the day before as the path largely follows along the valley towards Chinnor passing through villages of Kingston Blount and Aston Rowant. A number of buildings in these typical Oxfordshire villages have been used as Midsomer Murder Filming locations. We pass along a small part of the Icknield Way which claims to be the ‘oldest road in Britain’. Lunch (own cost) is taken at the Olde Leatherne Bottle in Lewknor; a pub with origins of 450 years. Based at the foot of the Chiltern Hills just 15 minutes from Oxford and 4 miles to Watlington, this original coaching inn is cosy with comfortable sofas, good food and real ales; perfect for relaxing after a days’ walk. There is a restaurant and bar on site while the stylish bedrooms offer plasma TV, toiletries, tea/coffee-making facilities, hairdryer and free wireless access.